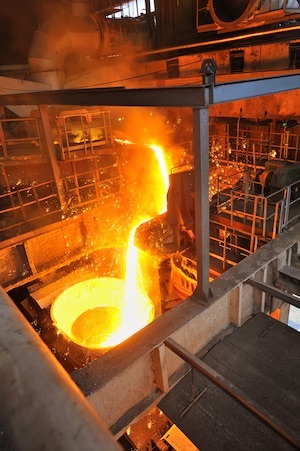 Norsk Hydro detected the attack at around midnight between Monday and Tuesday, but it would not say if its investigation so far has uncovered evidence suggesting that the attackers had access to its systems long before the breach was identified. The attack reportedly involved a relatively new piece of ransomware named LockerGoga, which is designed to encrypt files on compromised computers. The ransom note dropped by the malware does not specify how much victims have to pay in order to obtain the decryption tool needed to recover their files -- victims are instructed to contact the attackers via email to find out. However, Norsk Hydro says it does not know and it does not care what the ransom amount is. The company claims to have good, recent backups that should allow it to restore compromised files without having to pay anything to the hackers. It’s still unclear who is behind the attack, but Hydro has told some news outlets that the infection appears to have originated in the United States. Hydro is one of the world’s biggest aluminum producers. It employs roughly 35,000 people across 40 countries. News of the attack caused the company’s shares to fall slightly, but they quickly recovered. Aluminum prices also went down slightly on Wednesday after increasing by 1.2 percent after the breach was announced. In a press conference held on Wednesday, the company said its primary goal was to identify the root cause of the incident and clean all infected systems, which would then allow it to use its available backups to restore lost data. Hydro claims it wants to be as transparent as possible regarding the situation, but says it cannot share any technical details about the attack as Norwegian police have been notified and an official law enforcement investigation has started. The company says the attack has not led to safety-related incidents and it has not caused any structural damage. However, there have been temporary stoppages at plants in Europe and the United States, particularly in the Extruded Solutions division. In the Primary Metal division, production is normal, but manual processes are still being used to a high degree. Some of the impacted systems are expected to be restarted on Wednesday to allow the company to continue delivering its products. The organization is unaware of any lost business as a result of the incident, but says it’s too early to determine the full extent of the financial impact. As for LockerGoga, the piece of ransomware believed to have been involved in the attack, MalwareHunterTeam researchers and CrowdStrike reported seeing a new sample being uploaded from Norway shortly after the attack started. Industrial cybersecurity firm Nozomi Networks says the malware is unable to spread on its own to other devices on a network. One theory is that it leverages Active Directory to spread. Nozomi has pointed out that the malware includes some anti-analysis features, such as detecting the presence of virtual machines and deleting itself to prevent researchers from collecting samples. “Considering the fact that the attackers were not interested in adding custom and complex capabilities (C&C, DNS beaconing, etc.) we can assume the scope was merely disruptive and did not have an espionage intent,” Nozomi commented. One of the malware’s previous victims was French engineering consultancy Altran Technologies, which got hit in January, but MalwareHunterTeam says there have been dozens of other victims. On the other hand, LockerGoga is apparently used only in limited, targeted attacks, according to security expert Kevin Beaumont.